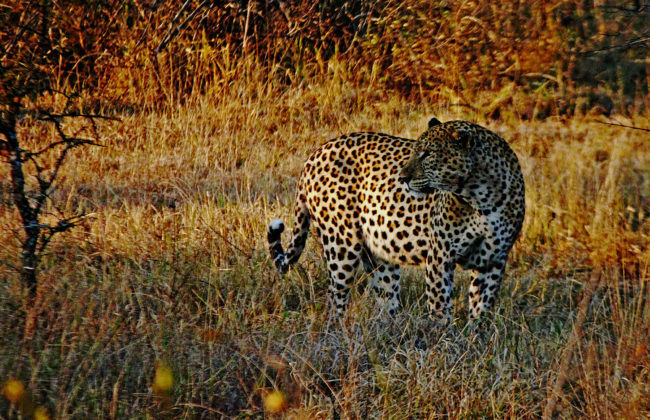 African dangerous game hunting packages are designed for hunters wanting to successfully hunt one or more of the Big 5. 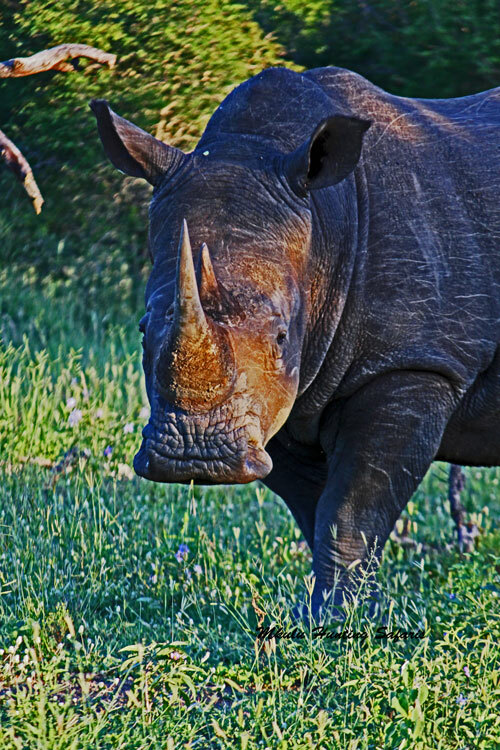 Very few hunters complete the coveted Big 5 hunting grand slam during a single African dangerous game safari. 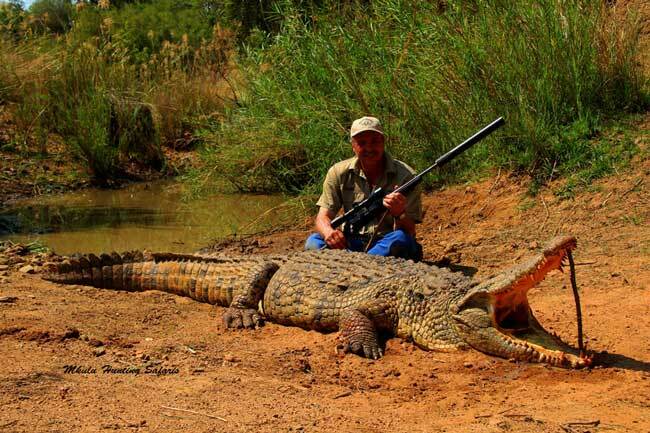 This is the reason why Mkulu African Hunting Safaris offer a variety of African dangerous game hunting packages. 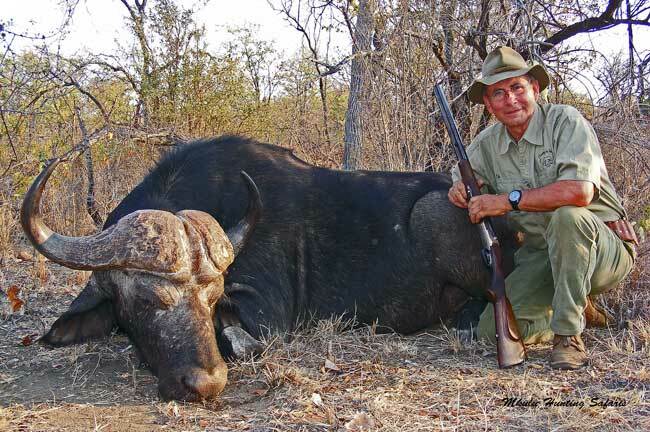 Many times hunters save up to hunt only a Cape buffalo in their lifetime. 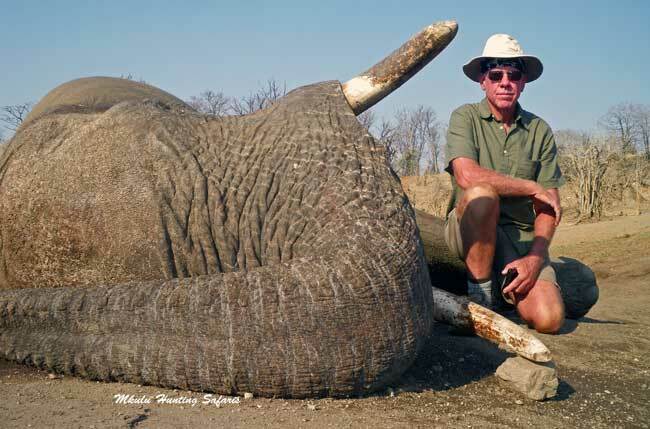 Other times hunters seek to complete the Big 5 spread over several African dangerous game hunts. At Mkulu African Hunting Safaris we prefer to refer to our African Big 5 hunting packages as African dangerous game hunting packages. 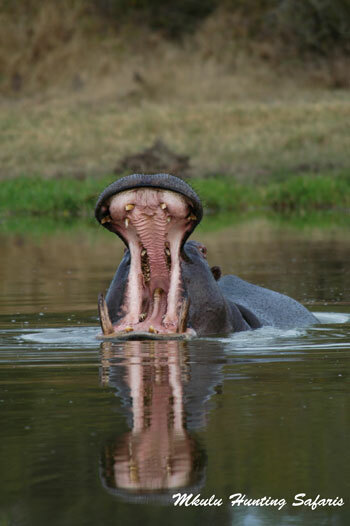 It is our reasoning that hippos are not only potentially dangerous animals, they are dangerous. 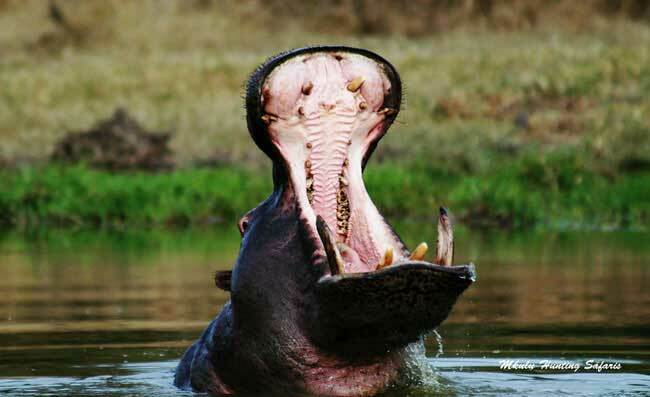 Hippos are responsible for the most human deaths on the African continent caused by all dangerous game animals. One aspect we as hunters must always bear in mind is that cute pictures and animation movies portray dangerous animals as loving and caring. In this regard we can refer to animation movies like Dumbo, The Lion King and Madagascar. 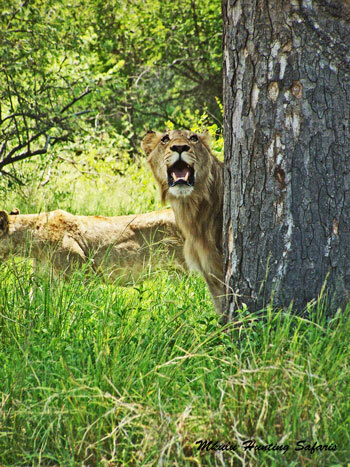 Nowhere in the wild will we find compassionate behavior between lions and plains game like zebra. Neither will wild elephants want to interact with humans. Dangerous game animals kill other animals to eat or to protect themselves from perceived danger. Elephants trample villagers who try to get the elephants out of their subsistence crop fields. Hippos kill people collecting drinking water from rivers because hippos are ill-tempered and can feel threatened when returning to water. Enough said on that. We compiled our African dangerous game hunting packages in such a manner that you know what you are in for in terms of payments and cost. Once we agree on a price for a specific African dangerous game hunting package, we will not charge you for any additional costs. The only additional costs you can expect to come across will be taxidermy-related costs like the mounting, dipping and shipping costs. Remember to insure your precious cargo. On some of our dangerous game hunting packages we charge a daily rate with a trophy on top of that. 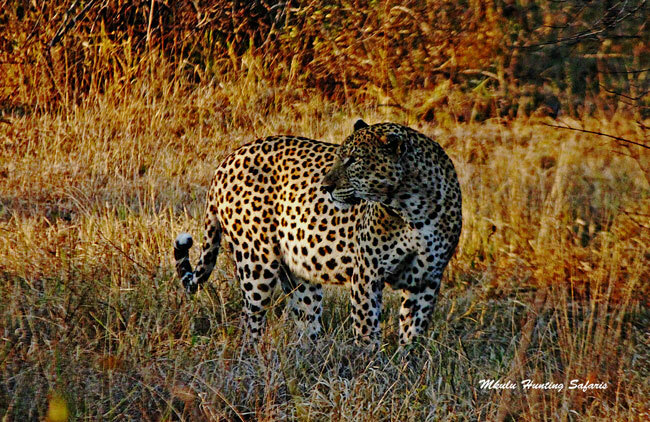 Hunting leopards in Africa and hunting a specific size elephant always have uncertain outcomes. Therefore, we charge the trophy fee apart from the daily rates. Feel free to contact us for a no-obligation estimate on any African dangerous game hunting package you may find yourself interested in. In most African countries the 375 is the entry level caliber for hunting African dangerous game. 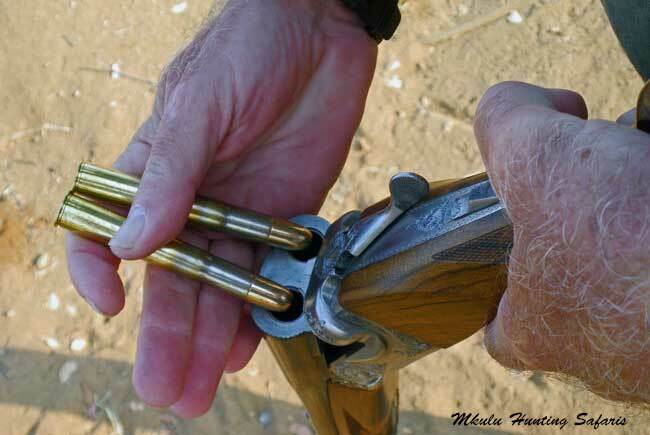 Apart to adhering to the law of the land it is of utmost importance to use the best available African dangerous game cartridges that shoot well in your specific rifle. For soft skinned dangerous game like lions and leopard, we suggest making use of Woodleigh and Federal Premium soft nose cartridges. 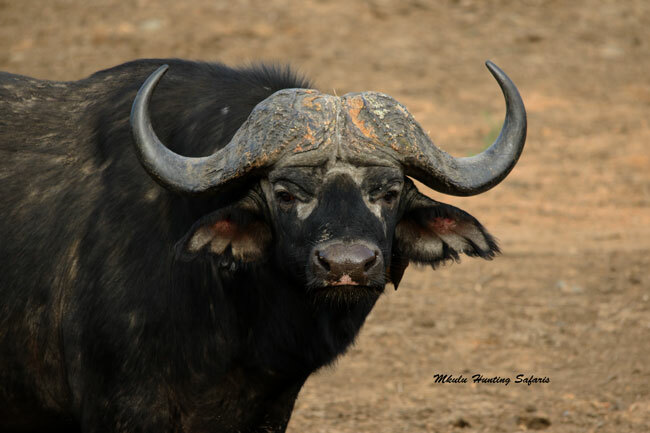 For Cape buffalo, we suggest Barnes TSX in as heavy a projectile your rifle will shoot accurately over 50 yards. 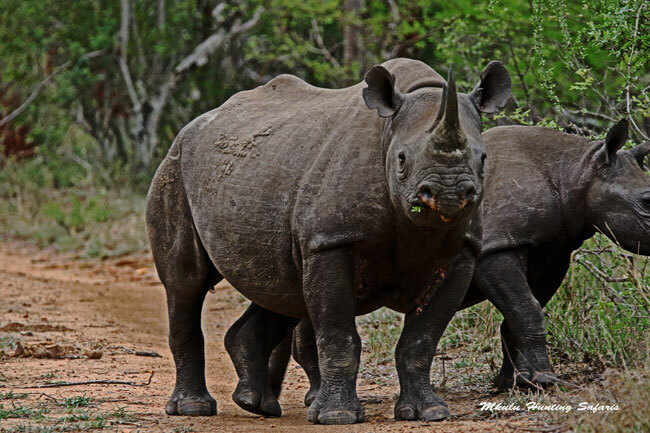 For thick-skinned African dangerous game hunts (elephant and rhino) we suggest using solid ammunition manufactured by Hornady. When starting a conversation on calibers the usual result is a heated discussion in which we are not going to get involved. Neither are we going to suggest the 10 best African dangerous game rifles. To us a rifle is a tool like a wrench is a tool to a mechanic. If it works, fine. If not, fix it or buy another one. Make sure the tool is the correct piece of equipment for the job at hand. Do not take a 223 to a Cape buffalo hunt. 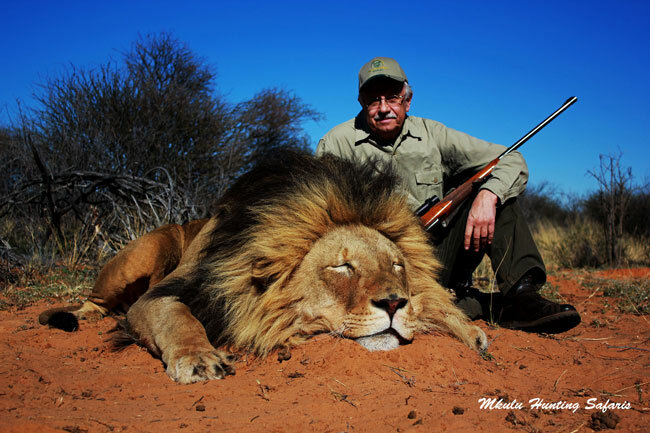 It is our opinion that African dangerous game rifles are for personal use and preference. 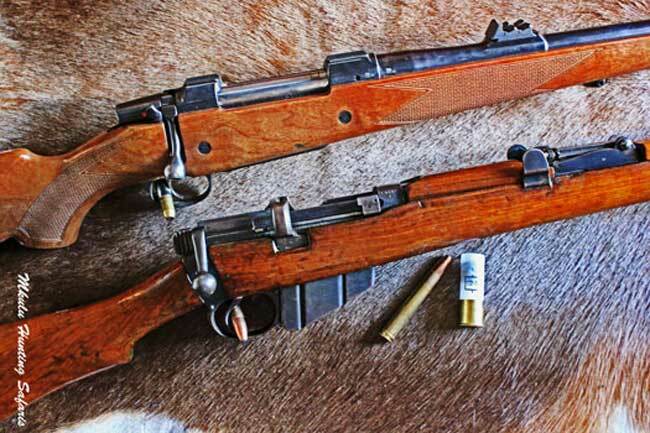 When our CZ 458 Lott is deemed as being an insufficient African dangerous game rifle by ourselves, we will buy something bigger in CZ because it gave good service for what it was bought for. One we love: if it ain’t broke, don’t fix it. 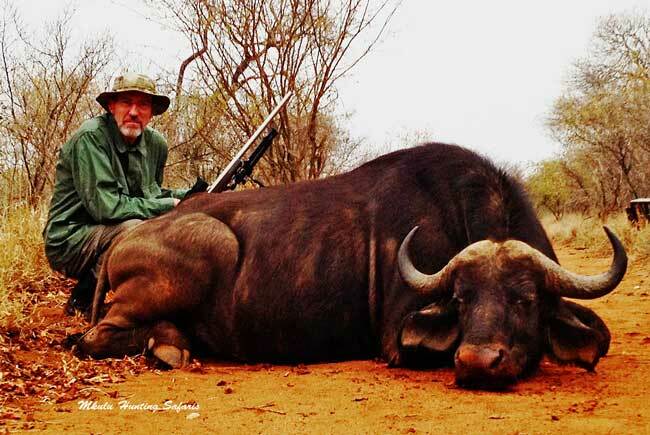 The ultimate African dangerous game safaris are hunting Cape buffalo with African dangerous game double rifles. Bear in mind this is an opinion and we have a tracker employed for tracking and carrying the double. African dangerous game double rifles are available in a variety of calibers. 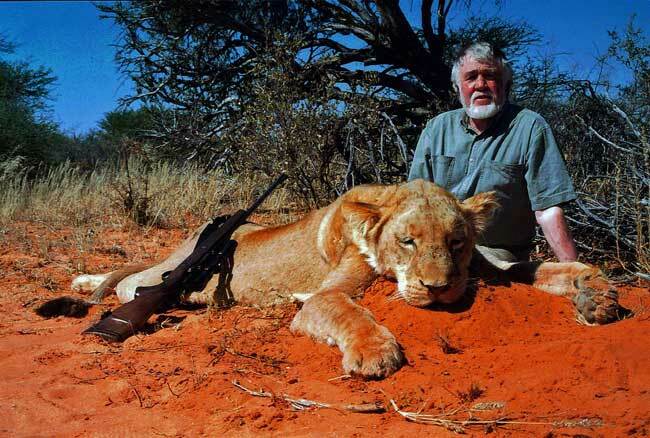 The 9,3 X 74 is less than the permissible 375 required for hunting African dangerous game in South Africa. If you are going to purchase a double rifle, start thinking at the lower end of the 470 NE. Follow this link for a comprehensive list of suggested calibers for African dangerous game hunting. 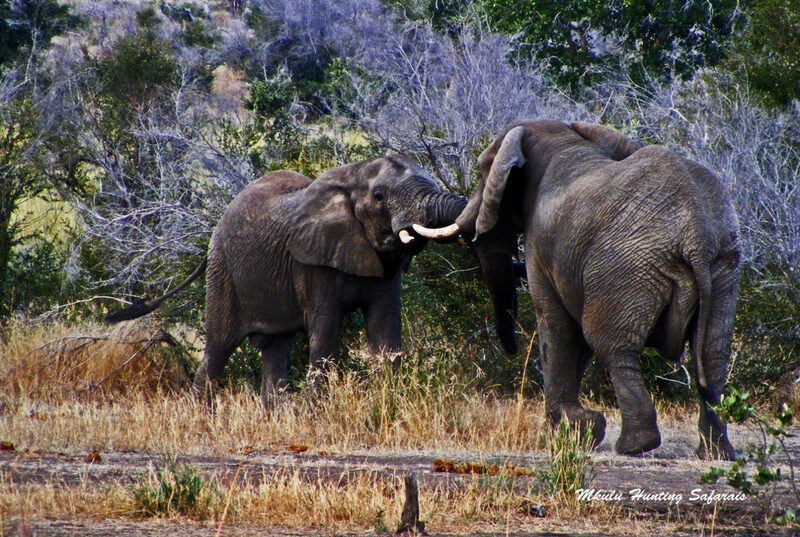 African dangerous game hunting packages on this side of the Limpopo River are conducted on a walk-and-stalk basis. If your health is an issued preventing you from walking, or if you are physically unable to walk, we will make a dangerous game hunt work for you. 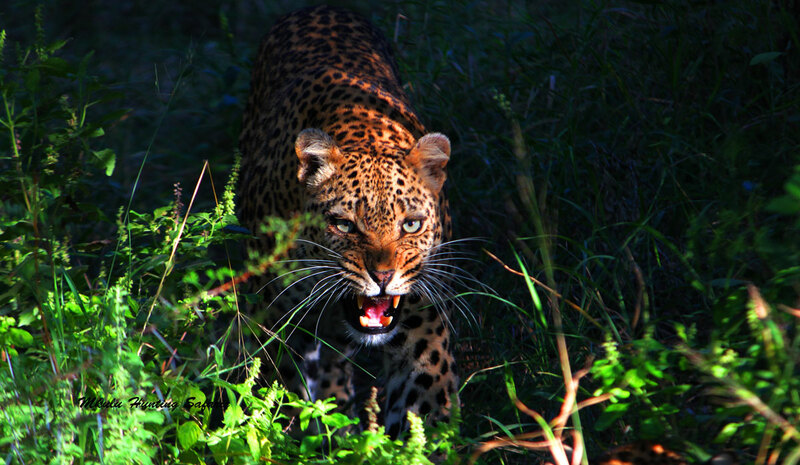 Most of our African dangerous game hunting hunting packages are conducted in the vicinity of Kruger National Park. One of the perks is we can add plains game to your initial dangerous game hunting package, and add a photo safari to Kruger Park. 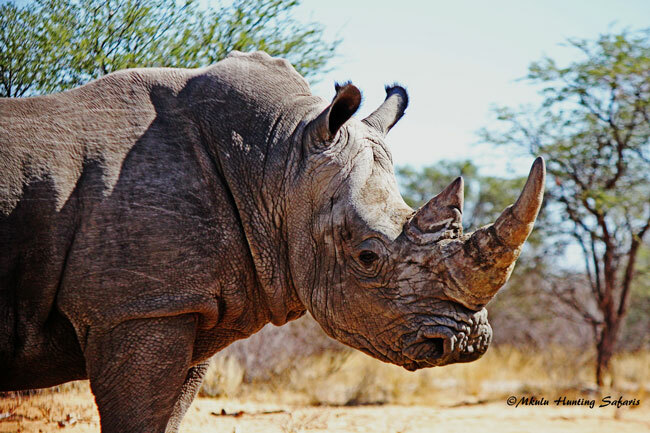 Most of our African dangerous game hunting packages in North West are conducted at the start of the Kalahari semi-desert. The sandy conditions assist in making tracking easier than on hard ground, with the exception there are so many animals we occasionally lose tracks when herds of springbok cross the lion or Cape buffalo tracks. Shooting at your intended quarry can be troublesome with medium high shrubs in the way. This means we sometimes hunt at close quarters to the extent it almost feels like hunting from point blank range. The prefix Kwa before Zulu translates to place of. It follows that Kwa-Zulu Natal means Place of the Zulu people. 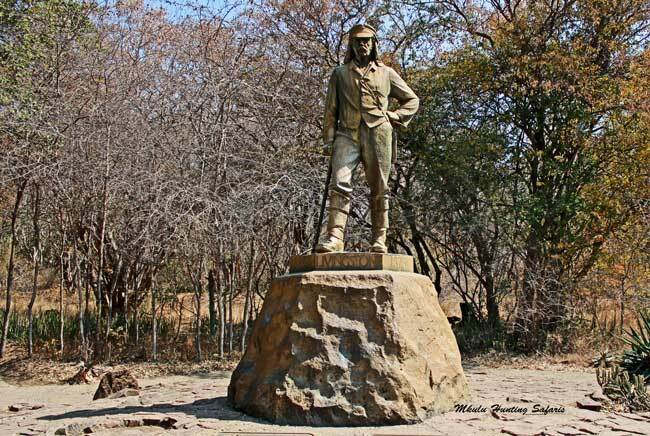 In the far northern parts of the Kwa-Zulu Natal province is where legendary King Shaka, originator of the Zulu nation, had his personal hunting grounds. During the dry season from about June to October, hunting African dangerous game becomes easier and more difficult at the same time. It is easier because hunters can spot the animals better, and more difficult because the animals can spot the hunters easier. Medium high shrub-like trees obscure visibility while animals can see leg movement under the overhang. Taking a shot at dangerous game under these conditions should only be done when a hunter has a clear shot.